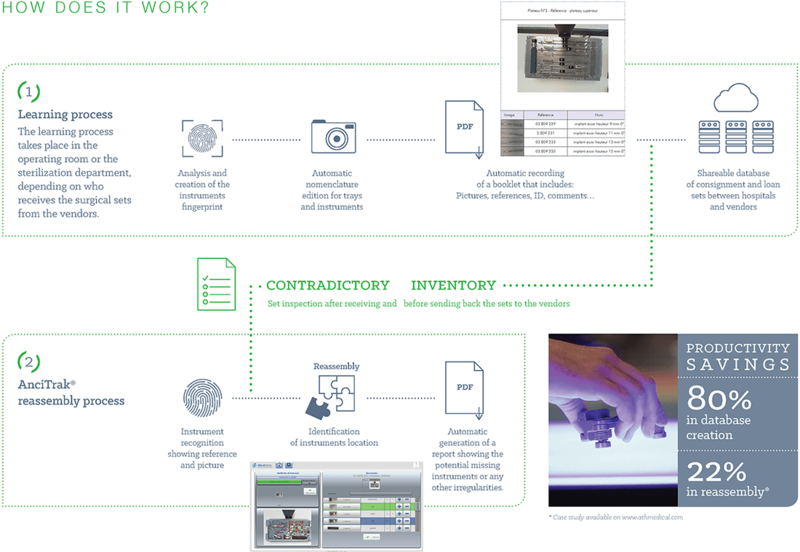 Ancitrak® is a traceability workstation that helps operators in surgical set reassembly to identify and track surgical instruments with or without DataMatrix and validate their positioning in the set. 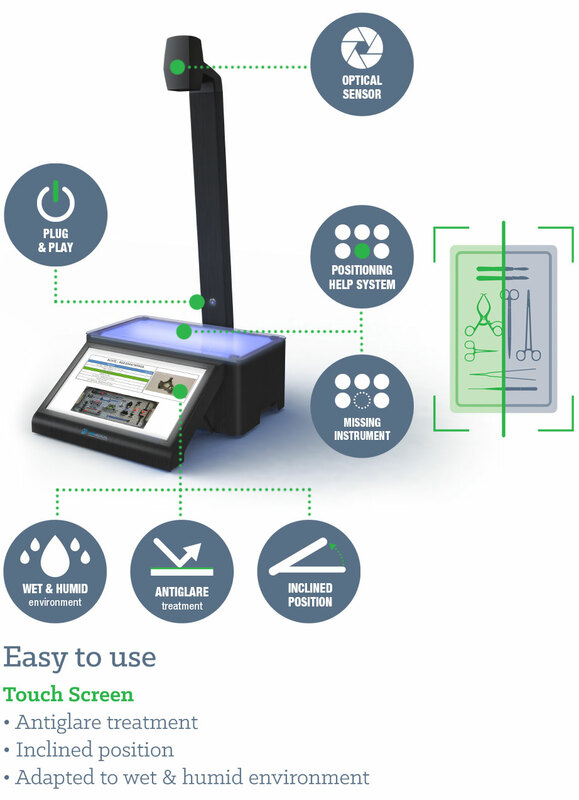 The system allows to communicate all tray assembly information directly to the sterilization software. Thanks to a patented technology – EasyIDm algorithm – Ancitrak® identifies and ensures the tracking of all types of reusable surgical devices (with or without DataMatrix), according to its basic physical characteristics. 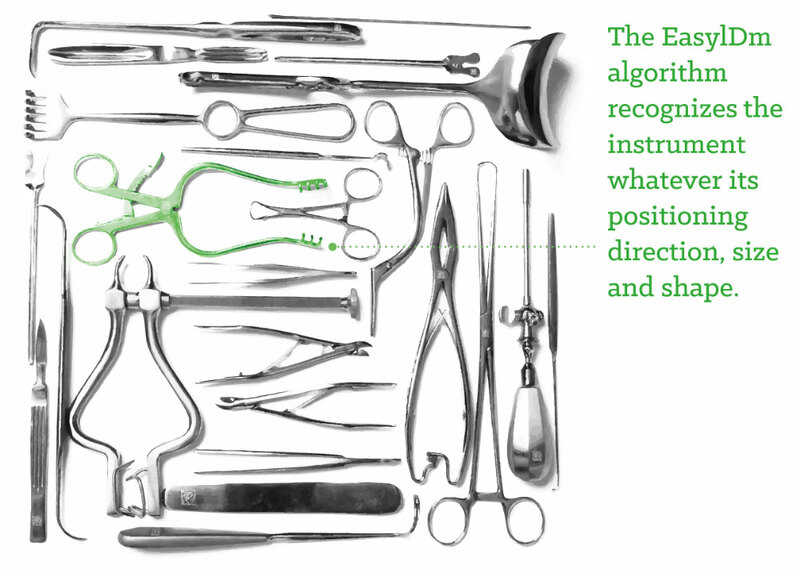 The EasylDm algorithm recognizes the instrument whatever its positioning direction, size and shape. Share datas with other hospitals and healthcare units without relying on a 3rd part. More time to focus on patient surgeries and less on managing loan sets! Getting the right device at the right time in the right tray!